Thank you! You'll get next week's debate. Bob McDonnell, the 71st Governor of Virginia, was indicted on federal corruption charges exactly ten days after he left office in 2014. McDonnell and his wife were found guilty on most of the charges. The scandal resulted from $177,000 in gifts from a political donor in exchange, the government's argument goes, for organizing political meetings and facilitating access to government officials. To be found guilty of these political corruption charges, McDonnell had to have taken an "official action" quid pro quo, meaning he took that action because of something of value (like a Rolex) he received. The former governor was given a reduced sentence of two years, but allowed to remain free while he appealed the case in higher courts. 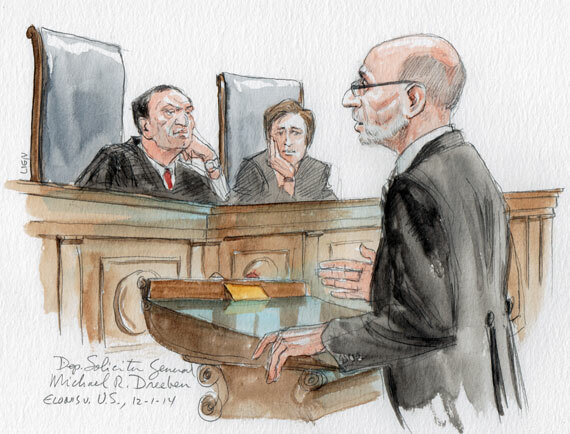 This past Wednesday, the Supreme Court heard the first oral arguments in the case, McDonnell v. United States. If you're interested in setting up a meeting with a public official, pay attention. By establishing what qualifies as corruption, this case may limit how all politicians and the public interact in the future. Maybe this isn't surprising, but politicians on both sides are rooting for McDonnell. Federal officials from every administration since the early 1980's wrote to the Supreme Court that McDonnell's conviction "will cripple the ability of elected officials to fulfill their role in our representative democracy." The question in this case is: where is the line between legal political favors and illegal corruption? This debate is something special. Because the case was just argued before the Supreme Court, we're using excerpts from the real arguments in that debate. Should Bob McDonnell be found guilty of the corruption charges against him? Noel Francisco, lawyer for Bob McDonnell, referred to as "Petitioner"
The government argues that in quid pro quo bribery, "official action" encompasses anything within the range of official duties. The government is wrong. In order to engage in "official action," an official must either make a government decision or urge someone else to do so. The line is between access to decision-makers on the one hand and trying to influence those decision-makers on the other. The question is: Did the Governor cross the line into influencing officials to undertake that action? After all, these laws are not meant to be comprehensive codes of ethical conduct. They're meant to target the worst forms of ethical misconduct, the corruption of official decision-making. The five things that were proved in this case are not "official acts." In none of them did Governor McDonnell cross that line in trying to influence the outcome of a particular decision. It's important to pause and look at the implications of what [the] pay-to-play theory of government really is; that people can pay for access, they can be charged to have a meeting or have a direction made to another government official to take a meeting. "Official action" is not limited by some arbitrary litmus test that was proposed by Petitioner that would exclude things he calls "access." I don't think that's the right way to look at it. I think the right way to look at this statute is to recognize multiple elements. The message that would be sent if this Court put its imprimatur on a scheme of government in which public officials were not committing bribery when all they did was arrange meetings with other government officials without putting a thumb on the scales of the ultimate decision, would send a terrible message to citizens. Thank you! You'll get our next debate.